I delight in the whimsy of dogs being dogs. 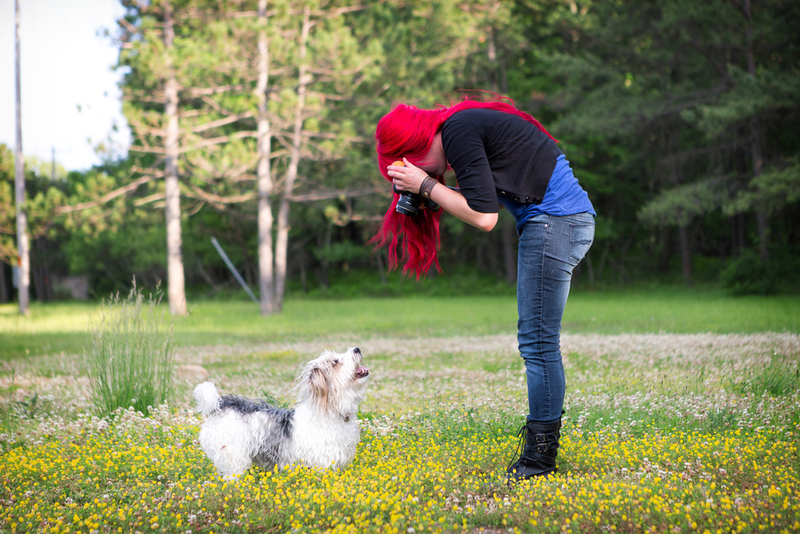 At a Dog Breath photo shoot, you won’t find any cloth or paper backdrops. You won’t find any sterile white studios or artificial sets. There won’t be any props or forced poses. In fact, we’re going to throw mediocrity and ‘tradition’ right out the window. Rather, we’ll journey across landscapes in search of the light. We’ll adventure across golden fields and into green forests. We’ll explore the winding cobblestone paths of city streets, just as twilight does her dusky evening dance all around us. We’ll blink in awe as the sun sets the horizon on fire - pinks, reds and oranges pirouetting around our heads like a dream. We’ll run underneath big blue clouds, and splash in sparkly coastal waters. We’ll capture tiny moments outside, in the world all around us. just as it’s supposed to be. just the way your dog likes it. 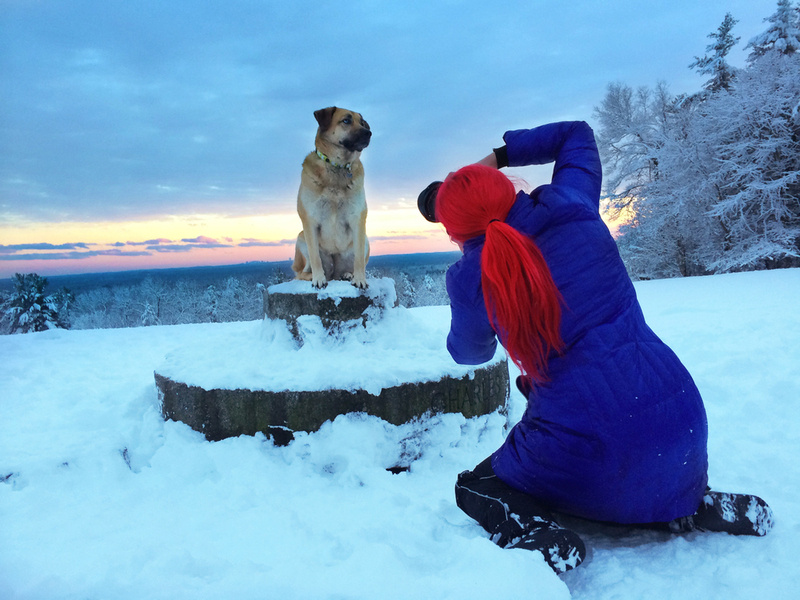 At Dog Breath Photography, our philosophy is that dogs belong in the natural world. You know, the one they were made for. The one they live in everyday. The one where they can sniff, run, jump, dig and play. The one where they can squish those inquiring muzzles into the mud and explore. The one where they can get dirty, get silly, and feel the sun’s warm rays sparkling across their backs. They one where they can be exactly what they’re meant to be - dogs. At a Dog Breath photo shoot - expect no script. No rigid plans, no shot list or unnatural poses. Expect lots of laughing and lots of exploring. Lots of silliness and lots of fun. And most importantly, Lots of dogs just being dogs. Because that’s what its all about. It’s about those tiny, silly moments that we wish could last forever. The ones we want to slip in our pockets and keep until the end of time. It’s about capturing the sparkle in the eyes of our best friends. Mostly - It’s about joy. Unbridled, silly joy. Our session will take place on-location - somewhere very special that we will choose together. We’ll search for colors and light that knock the breath right out of our chests. We’ll be inspired by everything around us. We’ll let your dog lead the way - we’ll let him show us all the things that he wants to share the most. You know, the important things — sticks, tennis balls, that new hole in the dirt that he’s so proudly dug. We’ll document the very best things about him, like the sparkle in his round little eye and the joyous slinging of drool from his wonderfully droopy jowls. The particular shade of pink in his happy, panting tongue and the relentless sway of his wild, excited tail. We’ll showcase the dirt on his inquisitive muzzle and the way the fur blows backwards from his face at his typical 95mph pace. We’ll capture him mid-air - defying gravity just as he likes to. We’ll leave the combed, pristine show dog perfection back in that clean white studio - and enjoy all the brilliant, untamed silliness that comes from real life with a dog. Because it's life's unplanned, unscripted imperfections that make it beautiful. Our photo shoot will be an adventure. A silly, crazy, wacky, whimsical, memory-making adventure.